On May 12, 2018, the opening ceremony of the Serial Events of University Alliance of the Silk Road (UASR) was held in XJTU. More than 150 university representatives from 87 universities in 26 countries and regions gathered at XJTU, exchanging ideas on talent training and higher education development. Wang Shuguo, XJTU President Wang Zigui, the deputy director of the Education Department of Shaanxi Provincial Government , and 87 presidents of world-renowned universities attended the ceremony. The Presidents’ Forum of UASR was held afterwards. On the forum, Professor Hai Wen, vice chairman of Peking University Council,delivered a keynote speech, sharing the founding experience of the Peking University HSBC Business School. On the Afternoon of May 12, 2018, the 4th Executive Council Meeting of UASR was held at XJTU. 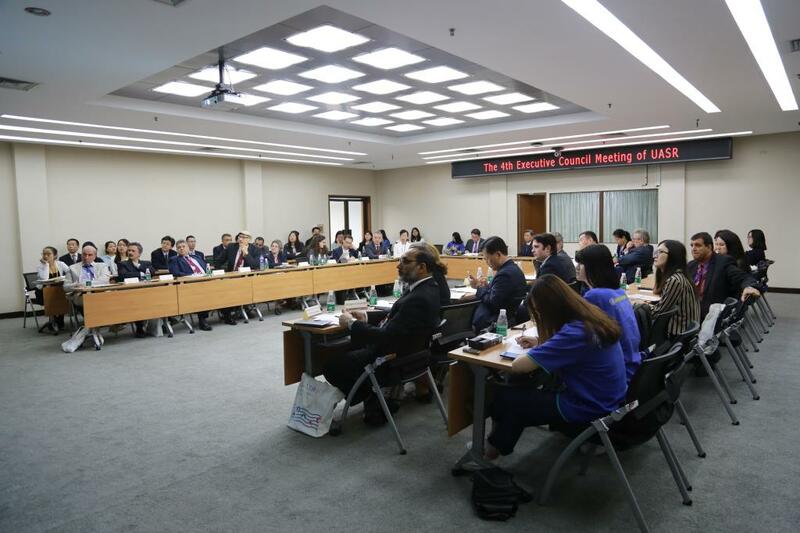 Eighteen permanent members of UASR, including Xi’an Jiaotong University, Harbin Institute of Technology, Hong Kong Polytechnic University, and Bauman Moscow State Technical University, gathered in XJTU and discussed future cooperation and development. At the end of the meeting, fifteen universities from 10 countries and regions decided to join in the UASR. So far, the UASR has 151 member universities from 37 countries and regions. On May 13, 2018, the 2018 World-Class Universities Expo in Xi'an was held at XJTU. Eighty-seven universities from 26 countries and regions, guests from the Times, and the representatives from the Embassy of Malaysia in China attended the event. 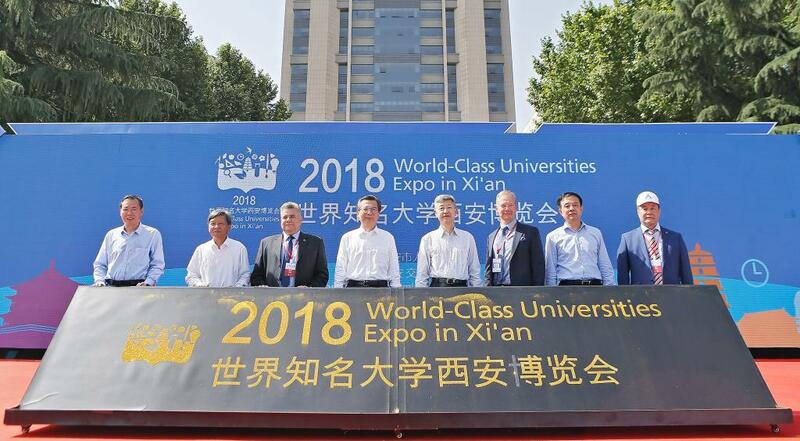 This Expo was aimed at providing more opportunities for students, parents and citizens of Xi’an to have a face-to-face communication with delegates of the world higher education institutions, promoting exchanges and joint development among universities. During the event, XJTU council chairman Zhang Maizeng, XJTU president Wang Shuguo, and vice president Xi Guang respectively met with the guests from all over the world, seeking opportunities for further cooperation between each other. The Following is the list of universities participating in the 2018 World-Class Universities Expo.